A great group of hard working and bright students. Well done everyone! 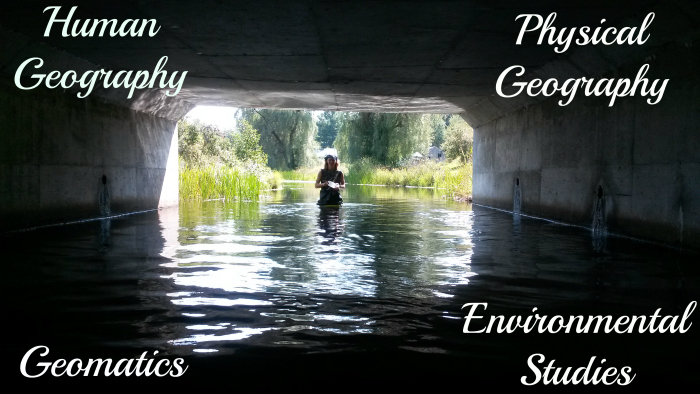 It was another exciting and informative week in August for our undergraduate Geography, Environmental Studies, and Geomatic students. 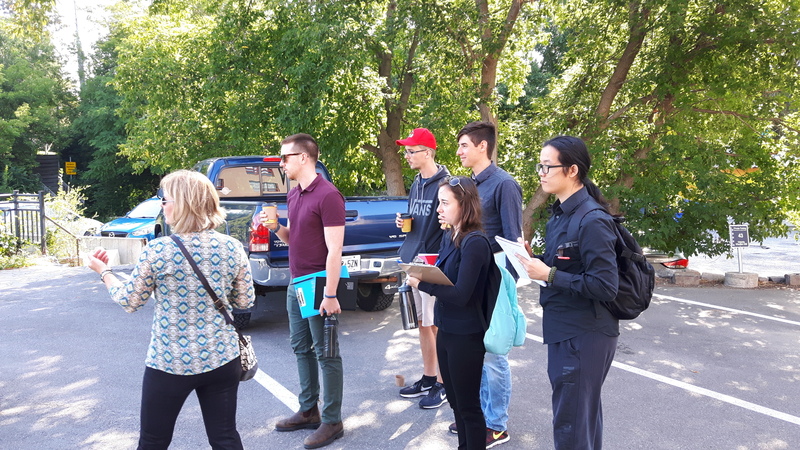 Students in GEOG3000/ENST3900 were introduced to various in-field research methods and sampling approaches, coupled with actual in-field experience throughout Lanark, Carleton Place, Perth, and Almonte a region about an hour West of Ottawa. 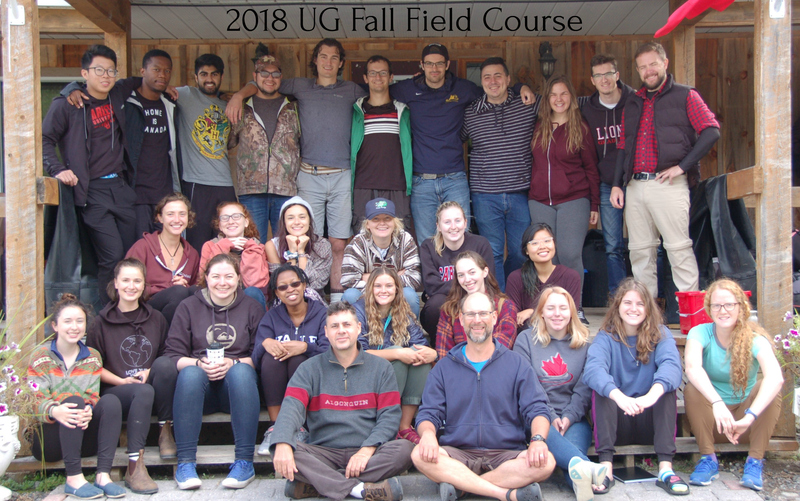 Thank you Hannah Mae Henry, UG fall field camp student, for creating this beautiful video that captures some of the wonderful moments students experienced during the 2018 Fall Field Camp! Students were organized into research teams to conduct field research and analyze issues that concern the residents of the region. 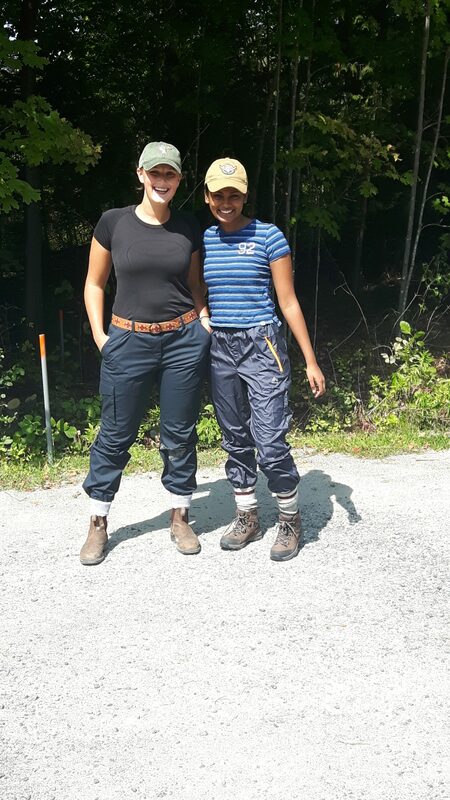 Each group’s fieldwork had some component of environmental studies, human geography, physical geography, and geomatics. 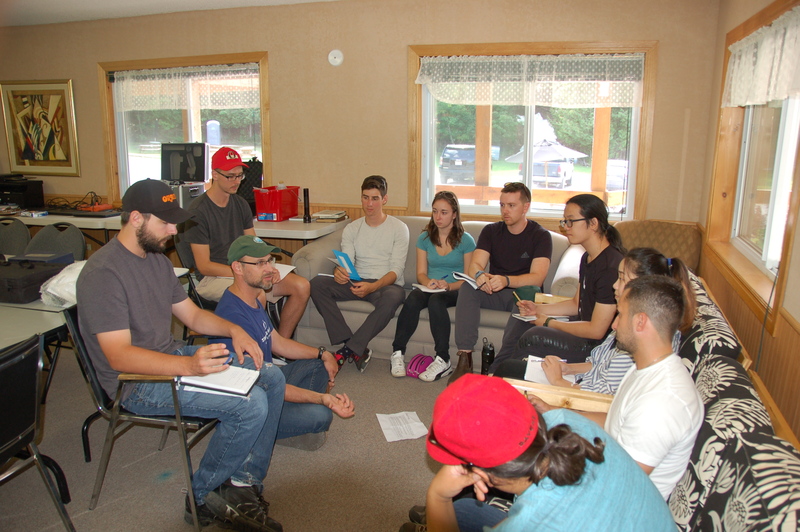 The field camp took place the last week of August over 6 days and was based at Providence Point Retreat Centre in Lanark. The structure of the course consisted of one in-school orientation day and one in-field day of background preparation. 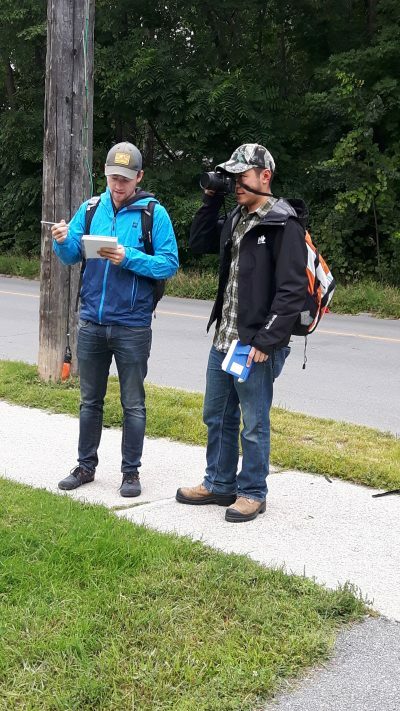 This skills-development component was followed by four days of data collection in the Perth, Almonte, and Lanark township region. 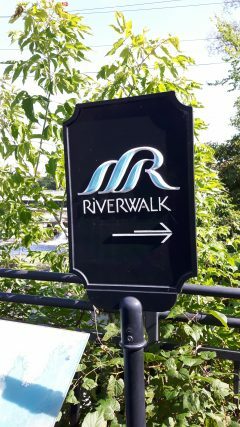 Students on a tour of revitalization in Almonte – followed by their first in-depth interview assignment. The residential component included guest lectures and interaction with stakeholders from the region. The rest of the course will be completed during the fall term back at Carleton. Our cabin is our classroom. Students rotated through several field components during the week being introduced to various field methods. The broad areas of exploration centered around water quality, steam gauging, biodiversity, shoreline surveys, and interviews. 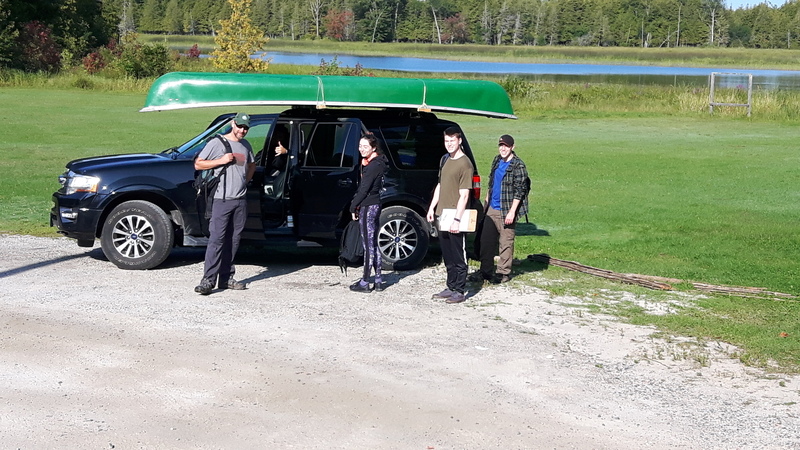 Students and Derek Mueller ready to head to the lake for some measuring and sampling. Students are encouraged to use various methods of data collection in observational research – our students loved using their cameras! Getting ready to test water quality from lake samples collected during the day. Students use Phosphorous and Nitrogen chemistry tests to determine quality of the lake water. 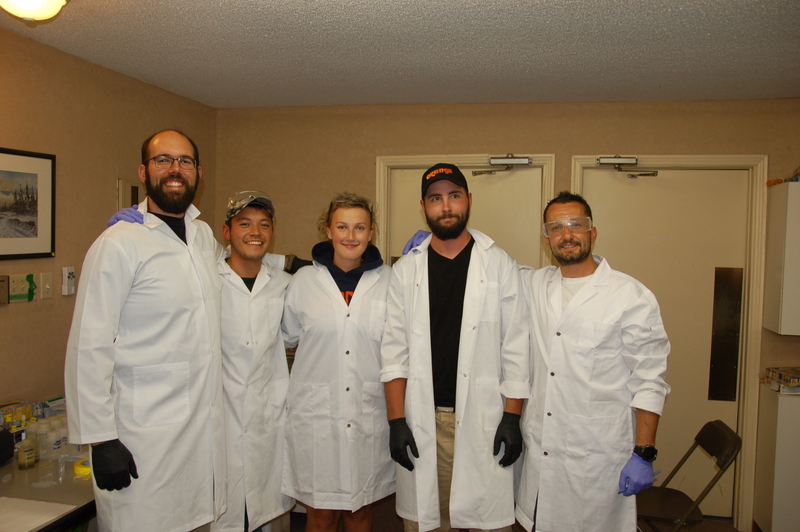 Lead by Assistant Professor Derek Mueller, students were introduced to various field sampling methods in the analysis of water quality. 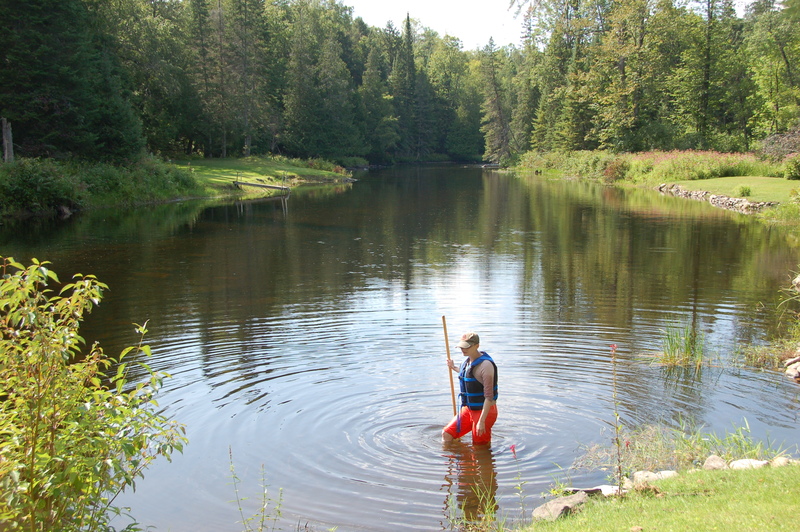 These skills explored measurement of several different variables associated with water quality in Otty Lake in a manner that is broadly consistent with previous efforts by Conservation Authorities and other monitoring programs. The variables measured included secchi depth; temperature/conductivity/pH/dissolved oxygen with depth; water nutrients (total phosphorus, total nitrogen); plankton tows (and subsequent identification of species collected). Field assistant, Justin Marshy, teaching students about stream gauging. Lead by Field Assistant Justin Marshy, students were introduced to three different ways of determining the velocity and discharge of streams/rivers. Students were then challenged to compare these methods to each other and to available data online (Conservation Authorities/Environment Canada). Additionally students were encouraged to infer stream water quality by sampling for benthic invertebrates. This included the collection and identification of any benthic invertebrates in the field with further investigation back at the lab. 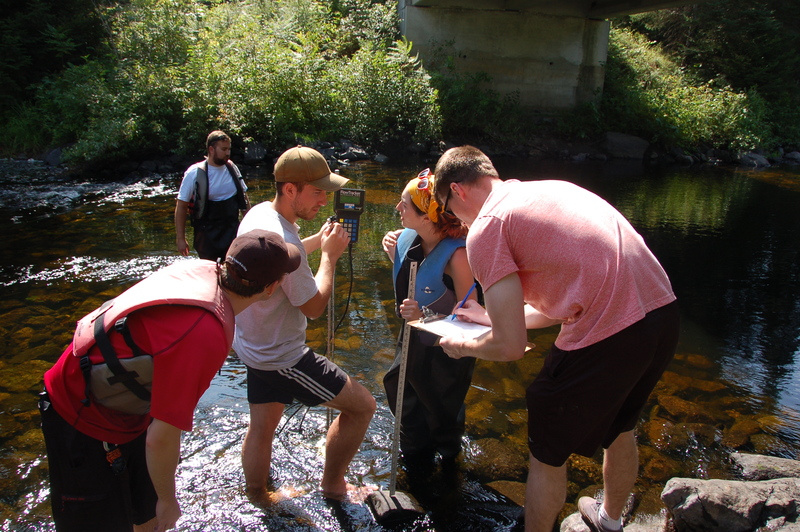 Students were expected to report benthic invertebrate taxa and interpretations of water quality from their various findings. Making friends at field camp and making ready to take on a day in the forest doing biodiversity indentification! In exploration of the ecology of the Otty Lake watershed, students were asked to use field guides, keys and other resources to identify species of flora and fauna; document the biodiversity of a specific site and compare their results to “bioblitz” reports from 2010 and 2012 Otty Lake Association; and establish a transect across a gradient (elevational, moisture, geological, successional, etc.) to examine changes in community structure in plots along the transect.